Home Research Faculty Linda Bloom, Ph.D. Professor Linda Bloom earned her Ph.D. degree in organic chemistry from the University of Florida for her work on anabaseine. 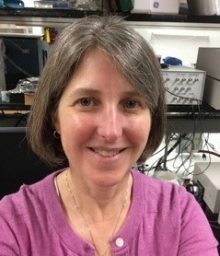 She joined Myron Goodman’s laboratory at the University of Southern California in 1990 where she used novel fluorescent techniques to study the fidelity of DNA replication. From 1996-1999, Dr. Bloom was an Assistant Professor of Chemistry & Biochemistry at Arizona State University. She joined the faculty in the Department of Biochemistry & Molecular Biology at the University of Florida in 1999. Our general research interests are in the dynamic protein-protein and protein-DNA interactions that are required to maintain the structure and to preserve the genetic integrity of DNA. We are working on defining molecular mechanisms by which the replication machinery duplicates genomes to support normal cell division, and defining mechanisms by which these enzymes respond to DNA damage that is encountered during replication. 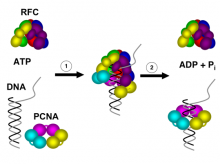 Although our current work is not directly aimed at developing a cure for a specific disease, basic research in the area of DNA replication provides the foundation of knowledge on which to make clinical correlations between defects in DNA replication and disease and on which to develop therapeutic agents targeted at the replication machinery of pathogens or cancer cells.